Gastric bypass surgery, performed for over 50 years, is one of the most common weight loss operations in the United States. 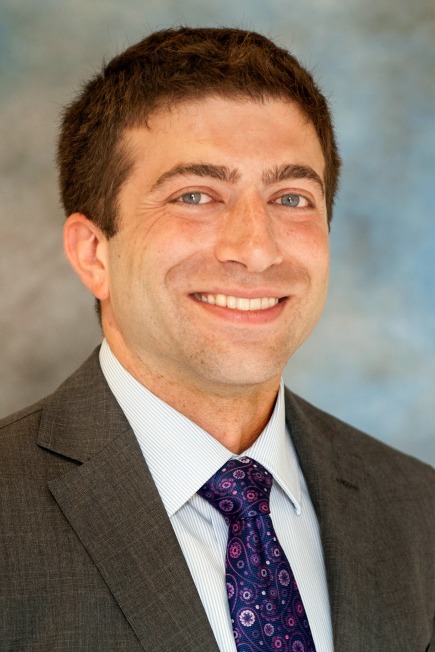 Columbia bariatric surgeon, Dr. Abraham Krikhely tells why it’s especially effective for those with GERD (acid reflux) and diabetes. What’s the first thing you tell patients who ask about weight loss surgery and this particular procedure? Well, the first thing you need to know is that bariatric surgery of any kind is not a cure for obesity, but it is the most effective treatment we have. Gastric bypass is one of the most popular weight loss operations worldwide. Since it’s been around for many years, it has passed the test of time and remains one of the most effective options. It’s also very safe. Who benefits the most from gastric bypass surgery? It’s particularly effective for obese patients who are also suffering from diabetes or reflux. There have been a number of high quality studies, including one done here by our Dr. Judith Korner, showing how the gastric bypass is much more effective than medical treatments versus diabetes. Many patients even go off their medications entirely. The gastric bypass procedure also helps those with reflux (the back up of acid and stomach contents in the throat). It does so because it redirects the flow of stomach acid and bile away from the esophagus so reflux patients no longer have discomfort. Many patients come in asking for a sleeve gastrectomy but it’s not as good as a gastric bypass at treating reflux. In fact, the sleeve procedures can cause reflux in about one fifth of patients who never had it before. How does the gastric bypass operation produce weight loss? First, you simply can't eat as much as you did before surgery because this new stomach pouch can only accommodate a few ounces of food at a time. Second, the operation produces changes in the hormones secreted by the intestines that decrease your hunger and improve the way your body uses the sugar you consume. That’s thought to be the main way it helps treat diabetic patients. Third, because the intestines are altered, some of the fat in the food you eat isn’t absorbed—another reason you start losing weight. Can you describe how the gastric bypass is done? First I divide the stomach into two parts. The smaller part, called the pouch, is then connected to the intestines so that when you eat, the food goes into the pouch and then straight into the intestines. As noted, the rest of the stomach and some of the intestines never come in contact with the food. The procedure requires roughly two hours and is done laparoscopically—meaning that we use cameras to visualize the operation on a larger TV screen. Our approach is minimally invasive, leaving the patient with tiny scars and allowing for a fast recovery. Most patients only require a two-night hospital stay. Is there any special preparation for this type of surgery? We begin with a medical evaluation to make sure a person is healthy enough to undergo the operation. We schedule standard tests to find out if there are any undiagnosed medical problems related to obesity, and to make sure vitamin levels are normal. In preparation for surgery, a patient will work with a nutritionist and psychologist to identify the factors that led an unhealthy lifestyle and eating habits. Our team will help you develop some strategies for improvement, providing a comprehensive game plan before we do the procedure. How fast do people recover? Most people are on their feet same day or next day. After the first few days, many no longer need pain medication. Usually my patients are back to work after a week. Generally it takes two full weeks to get their energy back and adjust to their new diet and their new anatomy. How long until patients start seeing viable weight loss? Weight comes off fast initially. After surgery, people can lose anywhere from 15 to 30 pounds in the first few weeks—that’s really satisfying to see. Many patients walk into my office for their first visit after surgery and say, “I feel like a new person.” Once they get that initial weight loss boost, they are lighter on their feet and feel more energetic. Then they start going to the gym. They get excited about their program—and want to take it one step further. After that initial period, patients can expect a weight loss of about 1 to 2 pounds a week for roughly the first year. How permanent is the loss? Studies show a 52% to 68% weight loss in patients with gastric bypass over 10 years. That’s an excellent outcome. Everybody will regain a little weight as time goes on because the natural tendency of the stomach is to stretch. This shouldn’t be a problem if you maintain healthy eating and lifestyle habits. Surgery is not meant to be a replacement for exercise, healthy lifestyle and nutrition—but meant to work together with these things, to bring you to your goals. I tell my patients, “The shape of your stomach is less important than the shape of your thoughts.” The most important thing you can do is commit to prioritizing your health and then be relentless in following your best strategy for success.